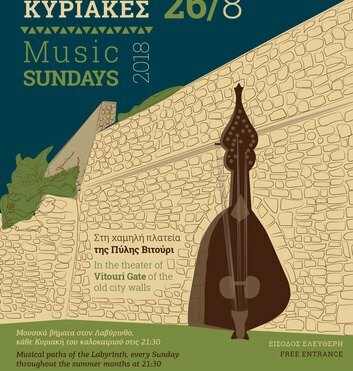 Nine "Musical Sundays", from July 1st until August 28th, are organized by the Municipality of Heraklion and the music lab "Labyrinth". This is a series of Sunday concerts of leading musicians from around the world, many of which will also assist the members of the orthodox band "Mitos" created by the initiative of the Labyrinth. "Musical Sundays" inaugurate the closer cooperation of the Municipality with the "Labyrinth". And as the founder of the "Labyrinth" Ross Daly says: "With Heraklion we share the same aesthetic ideals. 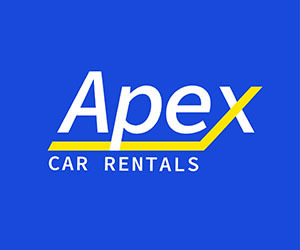 In our Workshop, we firmly believe in a multi-faceted and multinational cultural dimension, which focuses primarily on those that unite us with people rather than those that separate us. The concerts that will be featured on "Music Sundays" will emphasize this very character. " The concerts will take place at the low square of Vitouri Gate at 21.30 and the entrance is free. The start will be on Sunday 1 July, with Ross Dally, Zohar Fresco, Kelly Thomas and members of the orchestra "Mitos". The Asclepium was since the ancient times the most famous monument of Kos. It was located close to the ancient city, and was full of marvelous statues, works of famous artists. The palace of Knossos is The most famous architectural edifice of the Minoan civilization, which is the first flourished in Europe. Knossos is the most visited place for all who come to Crete and want to closely admire the splendor of the Minoans.